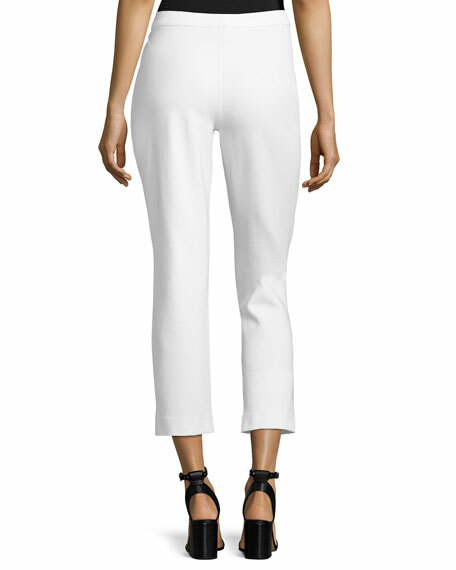 Joan Vass ponte ankle pants. Approx. measurements: 39"L from waist to hem, 41"L from back waist to hem. Skinny legs; cropped above the ankle.